This coming Sunday is the last day that Bee Heaven Farm/Redland Organics is going to be at the Pinecrest Gardens Green Market. Come get the last of the heirloom tomatoes! 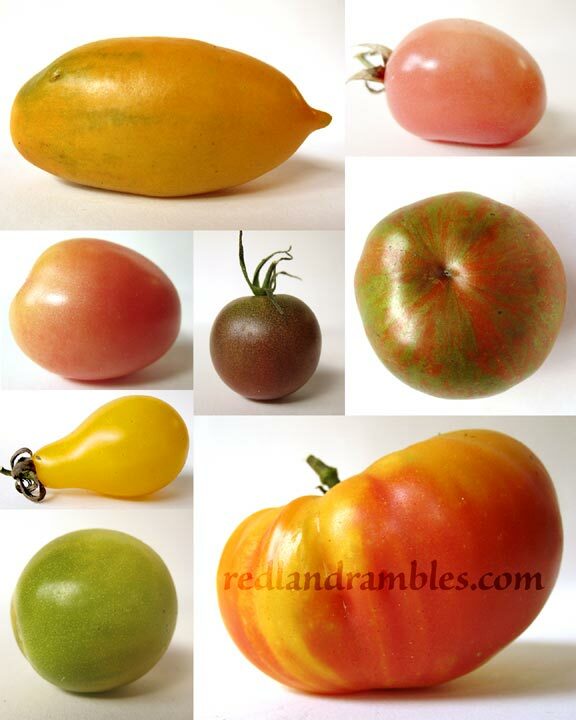 In honor of the bumper crop we had this season, I put together a non-encyclopedic image of some of the 60+ varieties that Farmer Margie grows. Bring your market tote! Margie is flooded with a sea of carrots, lettuce, onions, and there will be the legendary, farm-fresh Rachel’s Eggs grown by happy, pastured hens at Bee Heaven. Wish you had ID’d them all! I’ve been saving seeds from the best, but of course they are all anonymous, labeled only by color. So if I grow them, I’ll have lots of surprises.